It is 2017 and we are well into the New Millennium and there is still a reluctance on the part of many pet advocates to believe that oral pain is real and........... that it must be identified and treated! 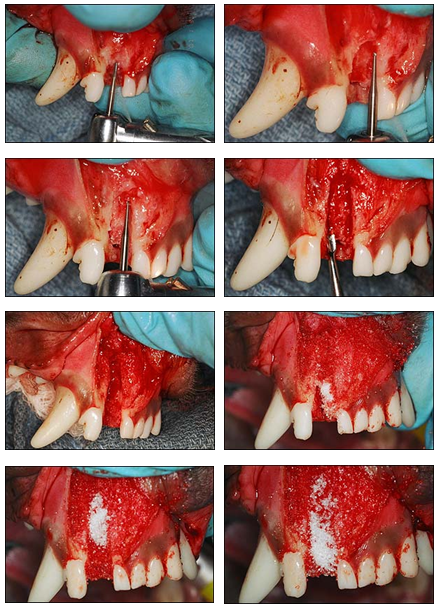 In the photo above a small breed patient has lived with the pain of advancing end stage Periodontal Diseases for months. There is little hope for this patient without referral to an animal dentist for Comprehensive Oral Diagnostics and Treatment [CODAT]! CODAT allows identification of pathology and a proper treatment course to be employed. The key to all oral diagnostics is a complete oral exam and digital oral radiology under general inhalation anesthesia.